Such is the hype that television broadcasters heap on certain matches that it seems virtually once a month we are treated to what are billed as ‘title decider’ weekends. And despite Barcelona or Real Madrid not playing each other or anyone else in the top four this weekend, jornada 31 promises to epitomise the true definition of the term. Ignore Barcelona coach Pep Guardiola’s insistence that it would take something special for this year’s trophy to end up anywhere but the Bernabeu. 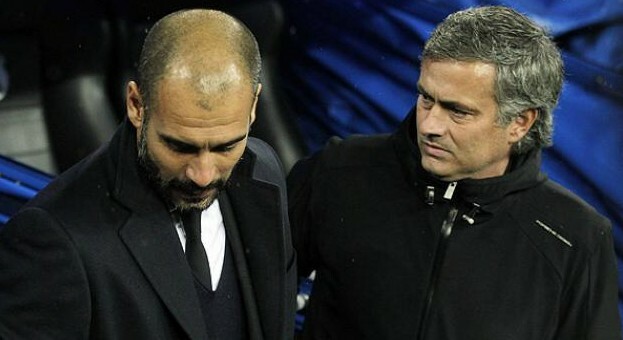 It is very much a title race that still has legs to run. And with Real Madrid facing a tricky trip to Pamplona to face Osasuna, they are personified legs that, come Sunday evening, could be revitalised even further. 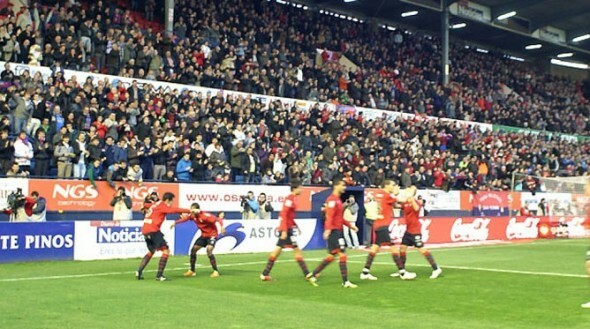 They may not be the most ‘fashionable team’ in La Liga but with twelve points from their last six games, Osasuna are enjoying a spell that has put them in with a real chance of securing European football next season. Whisper it quietly, but sitting four points off third placed Valencia and Malaga, there is a real possibility that the relative unknowns could grab an unlikely chance to flourish at the top table of European football next year in the Champions League. Central to this form has been a continued solid home record that has seen them taste defeat on only two occasions on their own turf this season – if you want to know how hard it is to visit Reyno de Navarro just ask Barcelona who slumped to a 3-2 defeat there back in February. Of course Real Madrid are still overwhelming favourites for the game and on paper should have enough quality to see them through, but having played midweek in the quarter finals of the Champions League, there are enough doubts to suggest that Osasuna may just provide the title race with a shock. Such is the strength in depth that Mourinho has at his disposal that even while resting a few weary players, Madrid are still going to field a team full of devastating talent. However, just like the famous Bull Run that Pamplona plays host to, this could be a trip packed full of danger. It isn’t exactly an easy week for Barcelona either and whether they can capitalise on any Madrid slip up should not necessarily be a given. Despite their recent patchy form in La Liga, Athletic Club has impressed this season and has slowly but surely built a promising team who can challenge anyone on their day. They will also be brimming with confidence following another European night of glory when they returned from the Veltins Arena with a 4-2 victory on Thursday. Their demolition of Manchester United in the previous round of Europa League may have come as a surprise to many, but for followers of Athletic it was something that had been coming for a while. Packed with attacking talent such as the likes of Iker Muniain, Fernando Llorente and Markel Susaeta, Barcelona may have to be at their very best to emerge victorious at the Camp Nou. Astute coach Marcelo Biesla will relish the battle to find a way to contain the reigning champions and, providing that his team recovers from Thursday’s Europa League game, he could well have another giant killing to put in his record book on Sunday. Of course there is ever possibility that both Barcelona and Real Madrid will win this weekend and it will be ‘as you were’ at the top of the table. But this round of fixtures do present risk for both the teams and if one slips up then the title race could well be nearly over, or equally have been blown wide open. Next Story → The Battle for Valencia: Can Levante heap more pressure on Unai Emery?